Robert Sztar is a man on a mission. He is passionate about helping people simplify their lives through better understanding, and easy adoption of today’s and tomorrow’s technology. 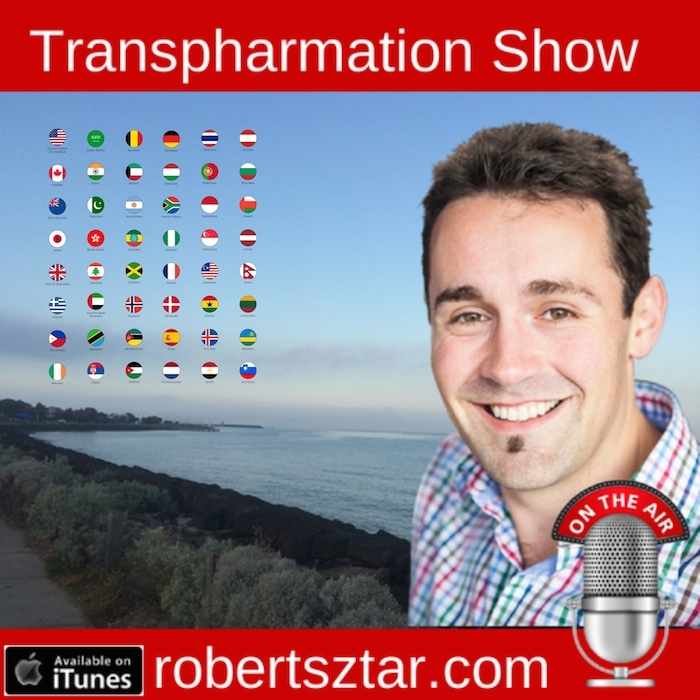 His company Pharmactive has researched, customised, and implemented hundreds of pieces of technology for community pharmacies. 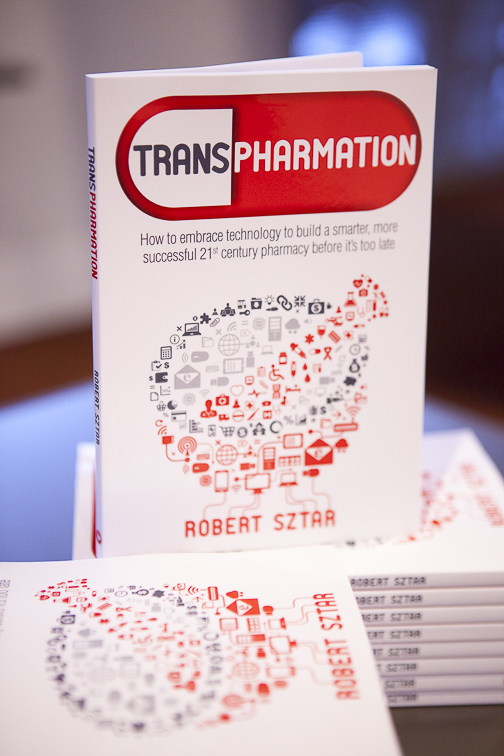 With a unique 4-step sequence he feels that every pharmacist can feel confident and in-control of their pharmacy destiny knowing they have the right technology solutions in their arsenal for the journey ahead. Robert will be presenting a keynote called: Pharmacy Freedom – Why there has never been a better time for a pharmacy owner to build a smarter more, successful 21st Century Pharmacy and the National President of the Pharmacy Guild of Australia, George Tambassis will also be sharing the stage, providing his insights into the future of pharmacy in Australia. 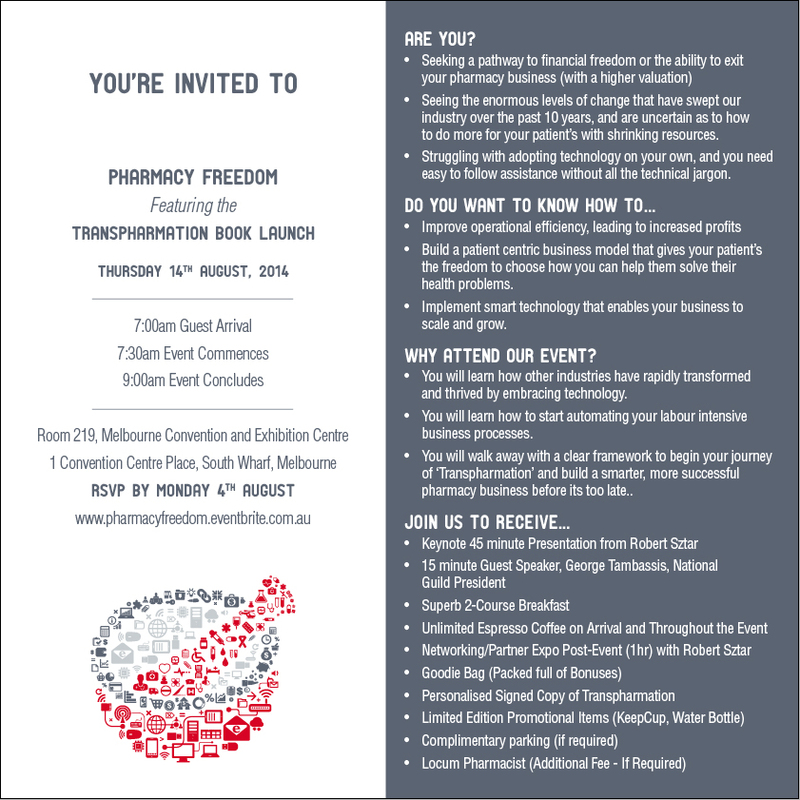 We very much look forward to seeing you at Pharmacy Freedom! PLEASE NOTE: If for some reason you experience any problems with the registration process, please don’t hesitate to call Robert’s office on 1300 798 995 or email rsztar@pharmactive.com.au where an invoice can be sent to you instead.